Start by using one of our predefined searches. Then when you are ready to build YOUR personalized search, give us a call or use the Login form to create and access your free account. You can see all Chandler Homes for Sale, create notes, send messages to the agent you are working with on our team. Create the search for your dream home and search Chandler homes for sale based on YOUR criteria. Create your own searches. We have developed our own saved searches that we feel are relevant to our buyers and sellers. The Saved Search is extremely helpful for finding your ideal home for sale. We understand that the real estate buying process is a little more personal than the search tools you'll find on other sites, so we've expanded your search options. 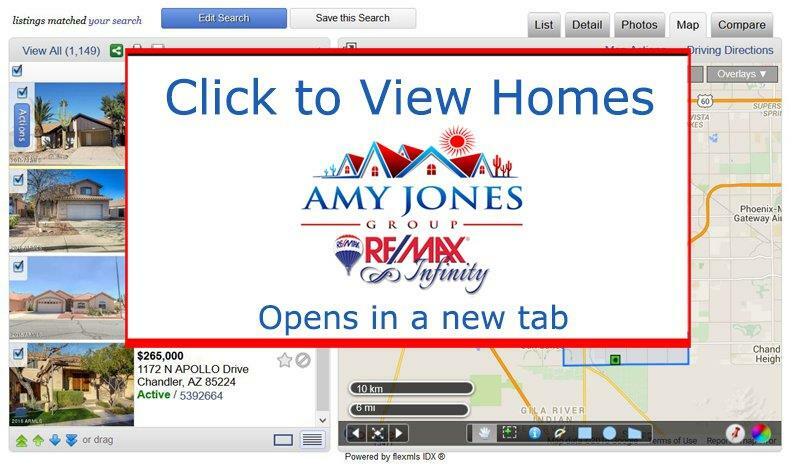 With the Amy Jones Group Property Search Tool, you easily create a login and stay updated on the latest homes for sale in Chandler. The market changes all the time. This is a great way to keep up. Better yet, have an entire team on your side. The Amy Jones Group has been consistently awarded Top Real Estate Agent rankings and are specialists in the Chandler Real Estate market. Working with the Amy Jones Group for your real estate purchase or sale, you have access to an entire team of real estate experts. Our happy real estate clients have shared many excellent reviews here and around the web. Which is the best home in Chandler for you? While we can’t answer this question directly, we provide the right resources to make your real estate purchase decision easier. If you're looking for a great Chandler Neighborhood, we can help. We have also developed School Boundary resources to help you find homes near your choice Chandler School. If you are new to Chandler, AZ, our City of Chandler section below has some great information to help familiarize you with the Chandler area. Chandler, Arizona encompasses 58 square miles and is bordered by Tempe & Mesa on the North, Gilbert on the East, Ahwatukee (Phoenix) on the West and Gila River Indian Community on the Southern-most edge. Chandler is located just 20 miles Southeast of Phoenix and Sky Harbor Airport and just 13 miles from Phoenix-Mesa Gateway Airport. 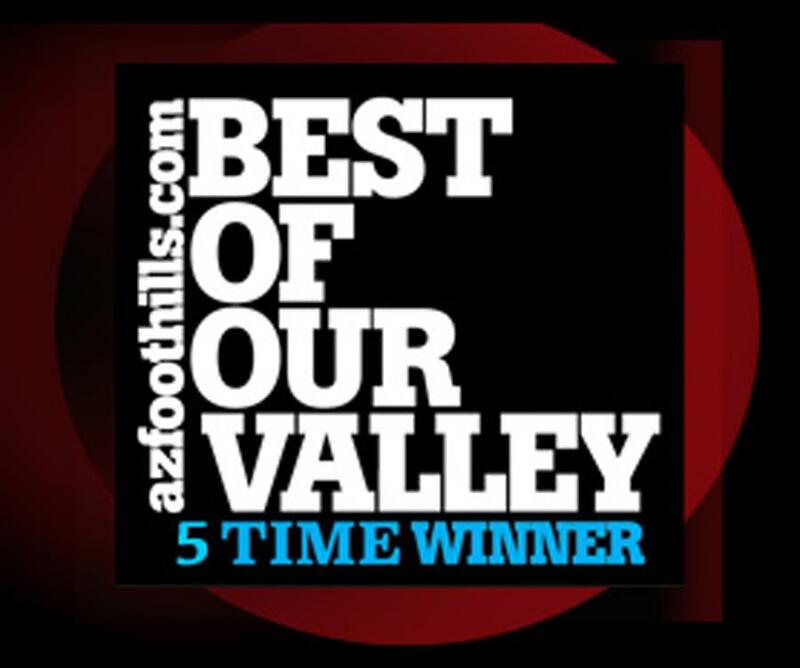 With approximately 250,000 residents (Nov 2015), Chandler has been recognized as one of the fastest-growing cities in the country and was the only Arizona city awarded the “All-American City” by the National Civic League in 2010. 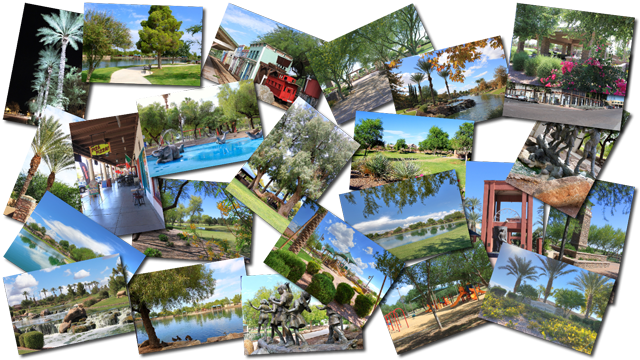 Chandler’s many parks and recreation areas resulted in Chandler being named Playful City USA for 7 years by KaBOOM, a national nonprofit parks & recreation advocacy organization. Chandler’s Paseo trail offers hiking, biking or just strolling along the canal and is connected to the trails in Gilbert & Mesa for 18 miles of enjoyment. Chandler is culturally diverse with homes for virtually any price range, from condos & townhomes to multi-million dollar estates. Horse properties, golf communities, gated communities, active adult communities and communities with pools and lakes. Chandler’s largest employers are Intel, Bank of America, Chandler Unified School District, Wells Fargo, Chandler Hospital & Ebay/PayPal. Chandler, Arizona is one of the countries fastest growing cities but it still has a great hometown feel. Visit the official Chandler website to see why almost 250,000 people choose to call Chandler home.